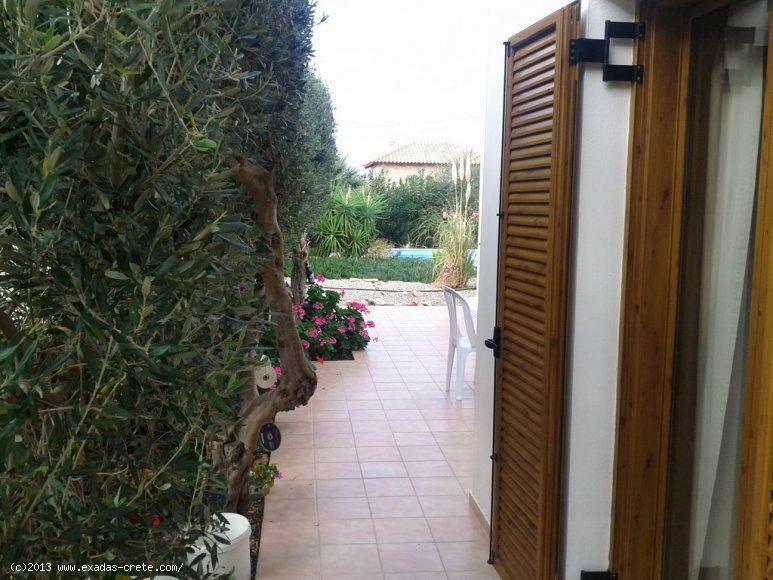 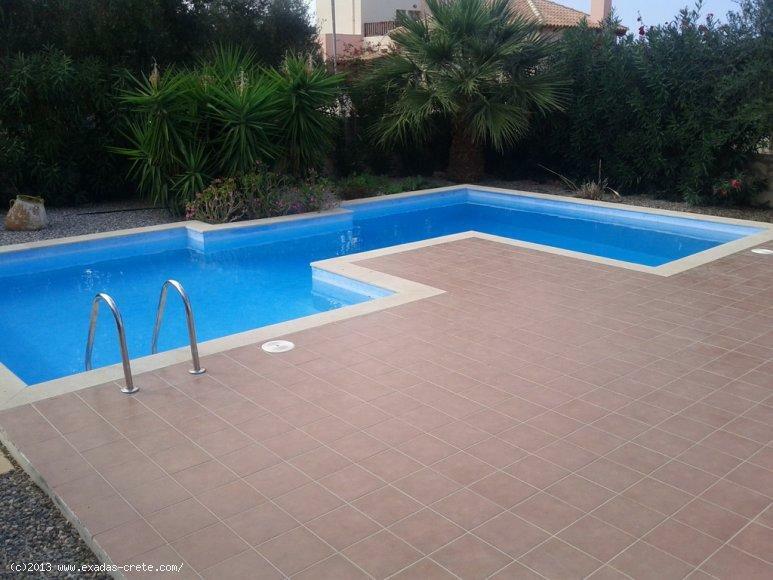 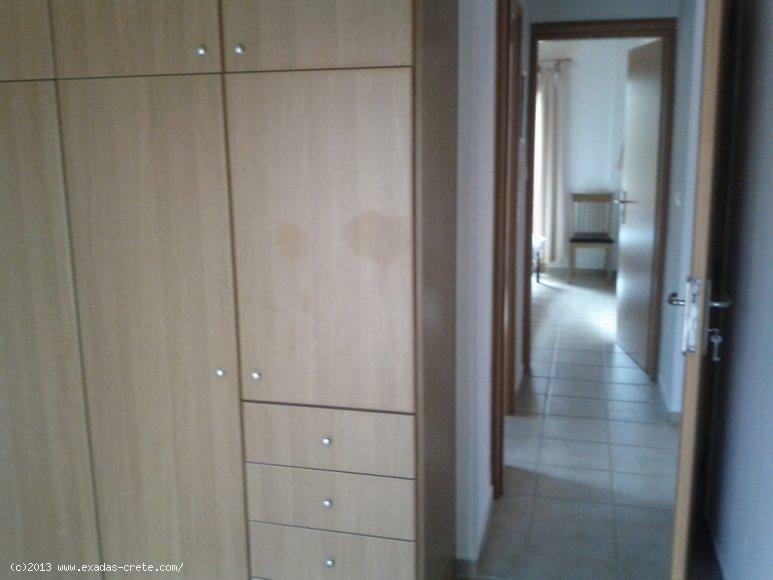 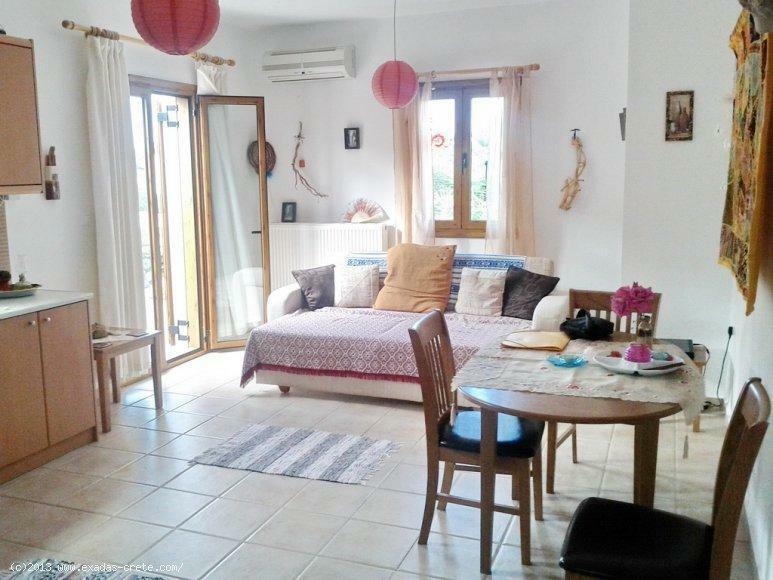 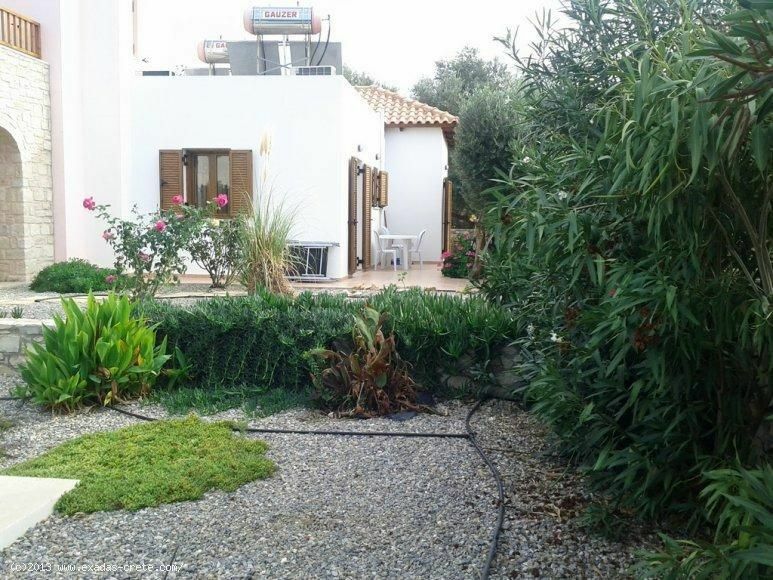 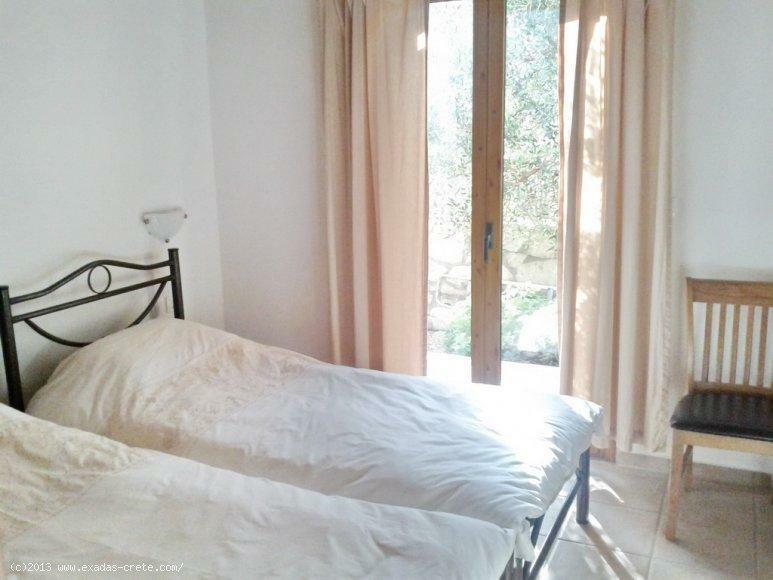 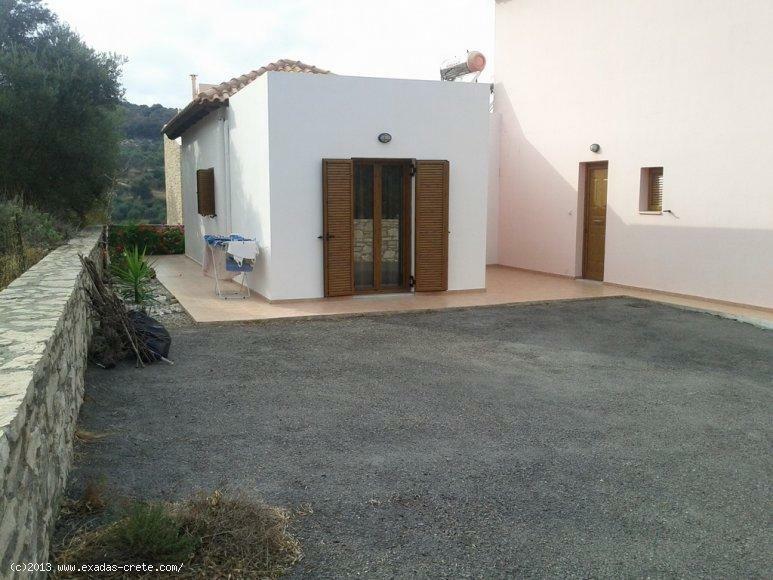 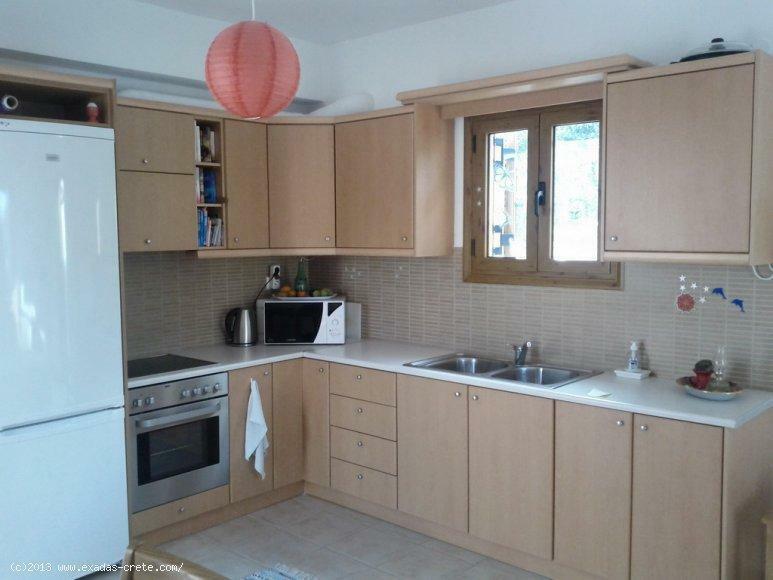 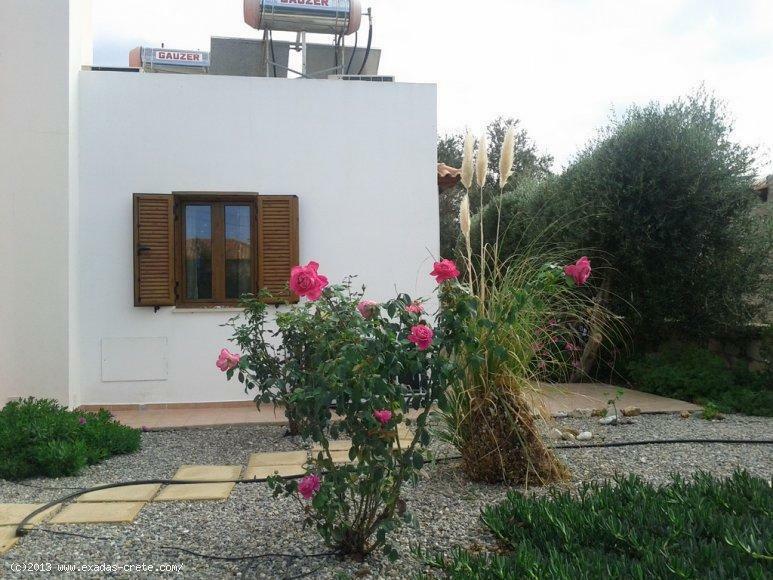 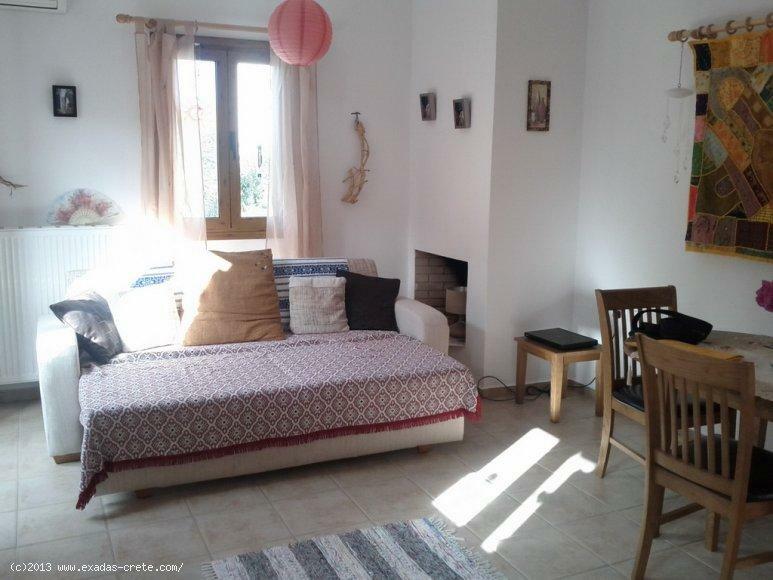 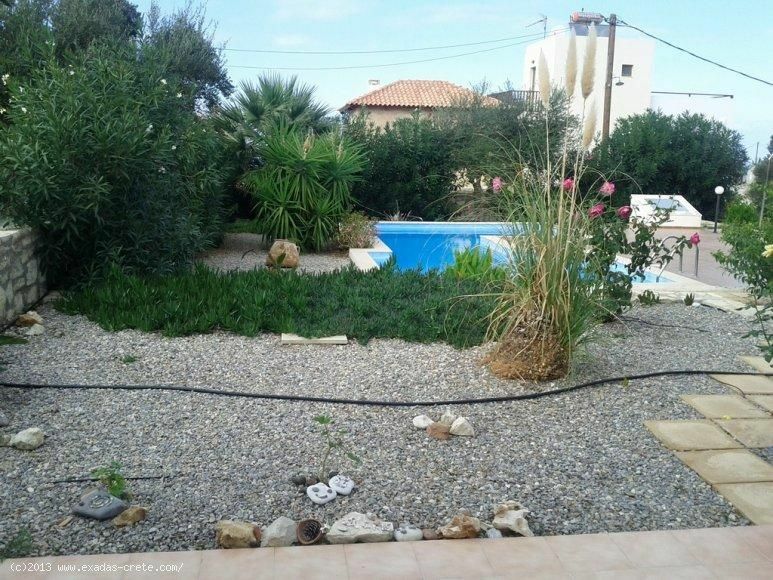 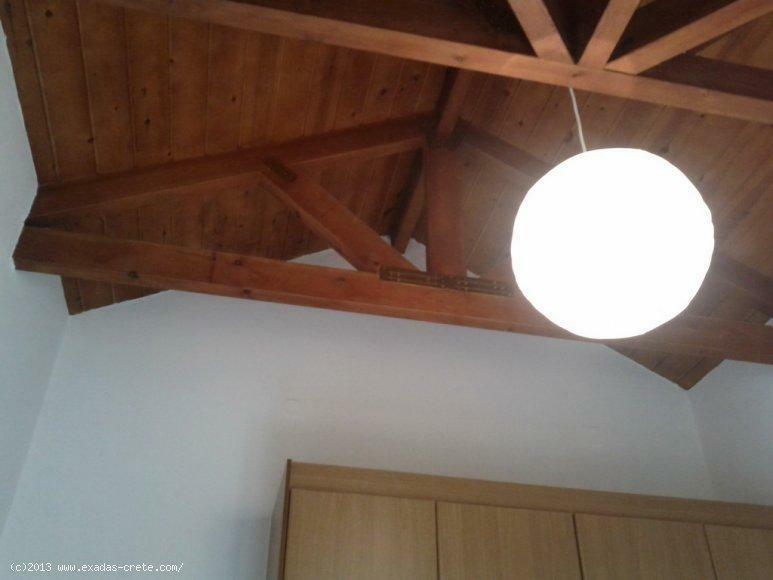 Semidetached house for sale in the beatifull area "Agia Triada", which is close enough to the beach (less than 10' by car) and the city of Rethymnon(less than 15 ' by car) . 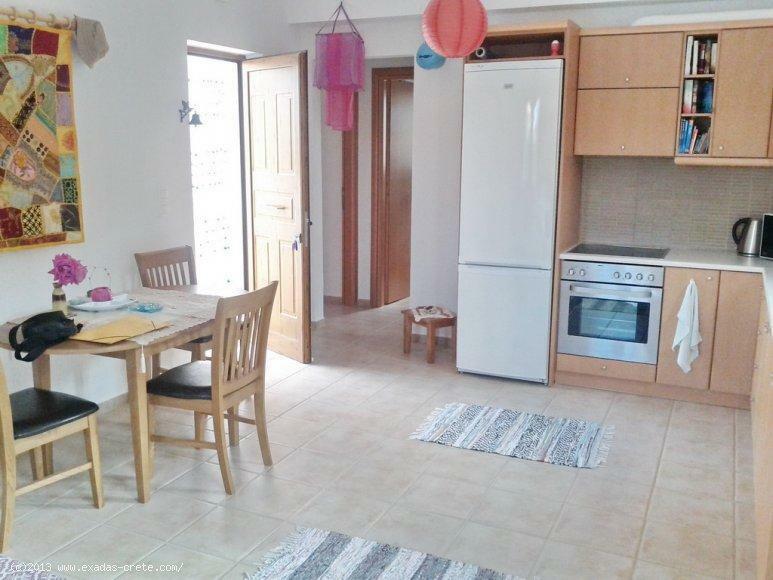 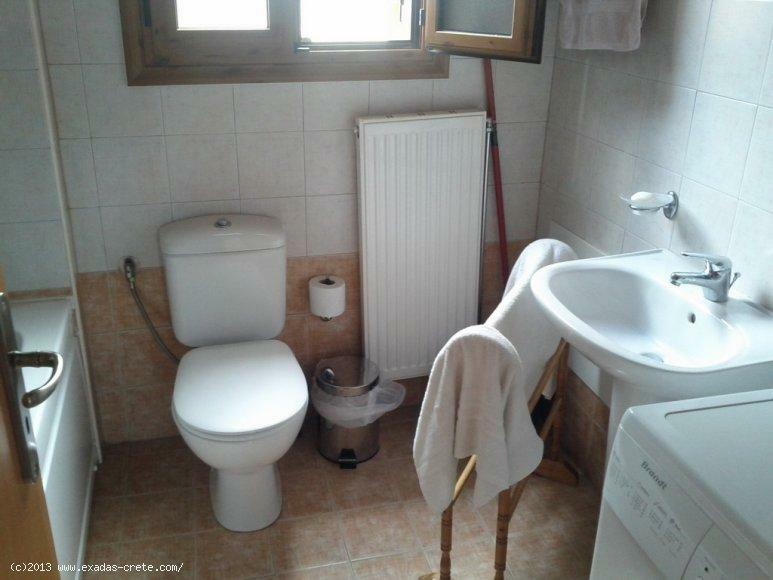 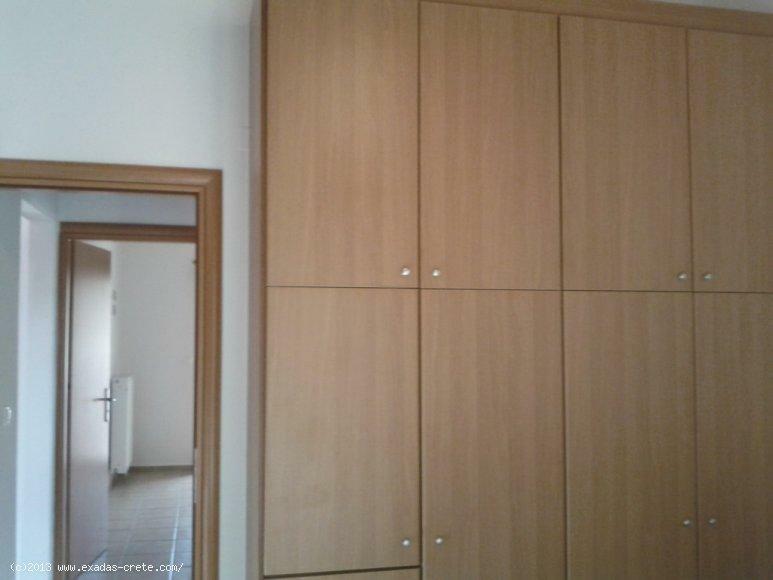 The house was built in 2007 and consists of a kitchen with living room in open plan, 2 bedrooms and a large bathroom. 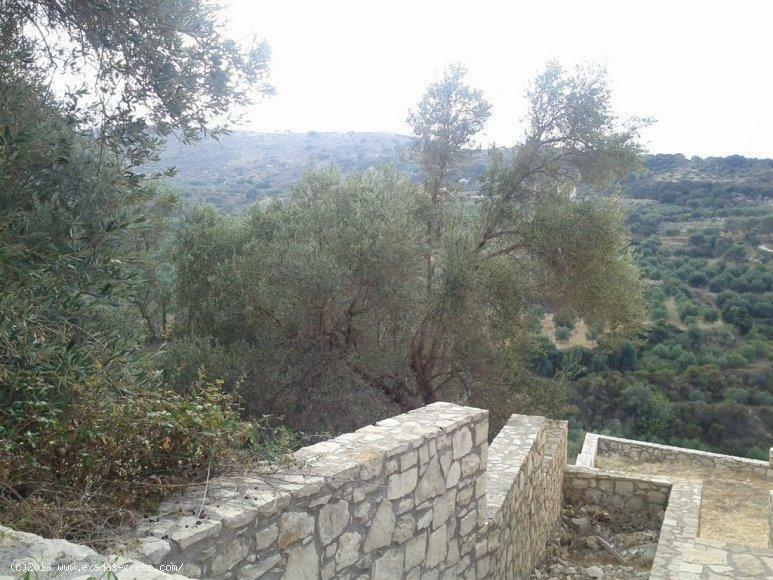 Around the house there are balconies and areas to sit and enjoy the views! 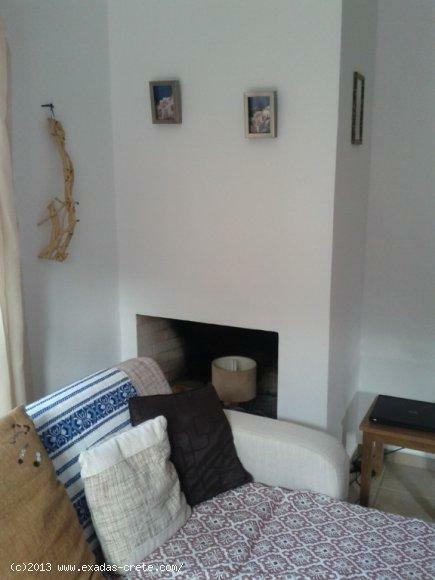 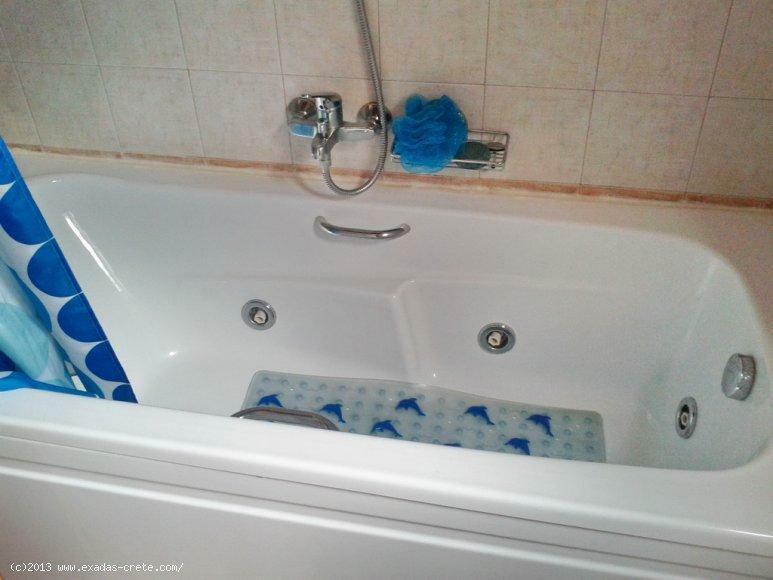 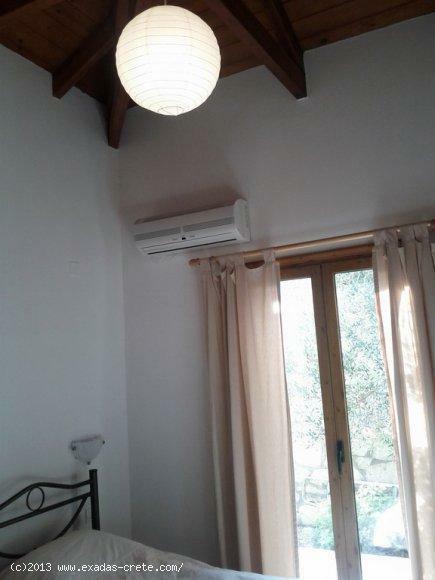 It features oil central heating system, aircondition, fireplace, solar panels for hot water, communal swimming pool and garden, parking space and is sold fully furnished, morover it has nice view of the sourrounding area.